Greetings millers! This is Diana, and I’m the director of sales here at OMC. A few weeks ago, I had the chance to visit Los Angeles for the Westec trade show with our esteemed support engineer Simone Davalos. With so many proud Othermill owners in the area, we decided to stay an extra day to make the rounds to a few of our local favorites. Our first stop was to the Make in LA hardware incubator. 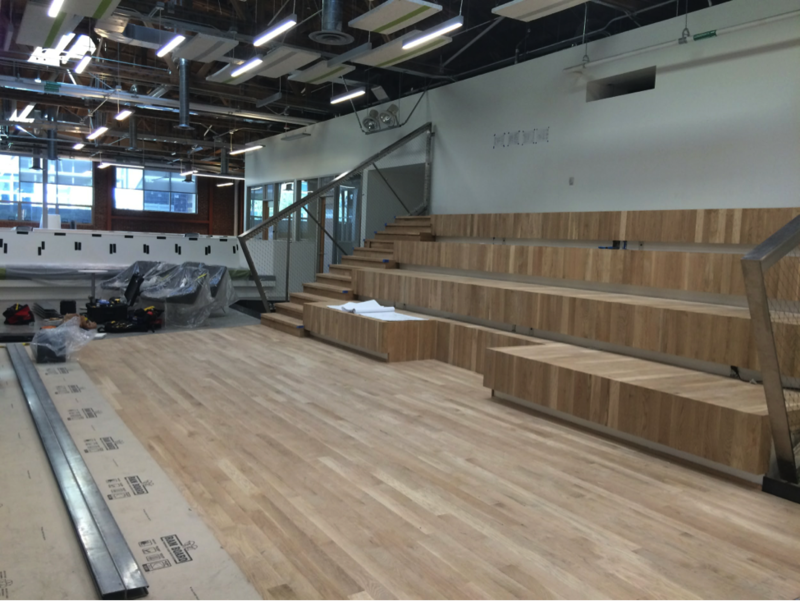 They offer a state-of-the-art facility, mentorship, and programming to bring hardware startups to life. With their inaugural class of four companies starting that week, it was an exciting time to visit. The Othermill was right at home next to a 3D printer, Bridgeport mill, and a variety of other rapid-prototyping equipment. Cofounder and general manager Noramay Cadena showed us the test files they had milled, and we demoed an aluminum three-bar linkage. With over 94 applicants for this round, it’s clear there’s a need for incubators like Make in LA to foster growth in hardware. Milling aluminum with Make in LA. Our second stop was to DIY Girls, where Sylvia Aguiñaga, the director of curriculum, and Ruby Rios, the director of design, showed us the space they use for their K-5 camp and ongoing after-school program. This past summer, the girls in the program were able to draw designs in Inkscape and then carve them from wood and metal on the Othermill. They enjoyed the ease of cutting in 2D but wanted more info on how to start carving more advanced 3D projects. We spent a bit of time demoing Fusion 360, Autodesk’s CAD/CAM software that allows users to create 3D files that can be cut on the Othermill. This can take a bit of elbow grease to learn, but with our available support guides and Sylvia and Ruby’s gung-ho attitudes, we’re sure they’ll get up and running in no time. You can learn more about DIY Girls in our newly-published story. 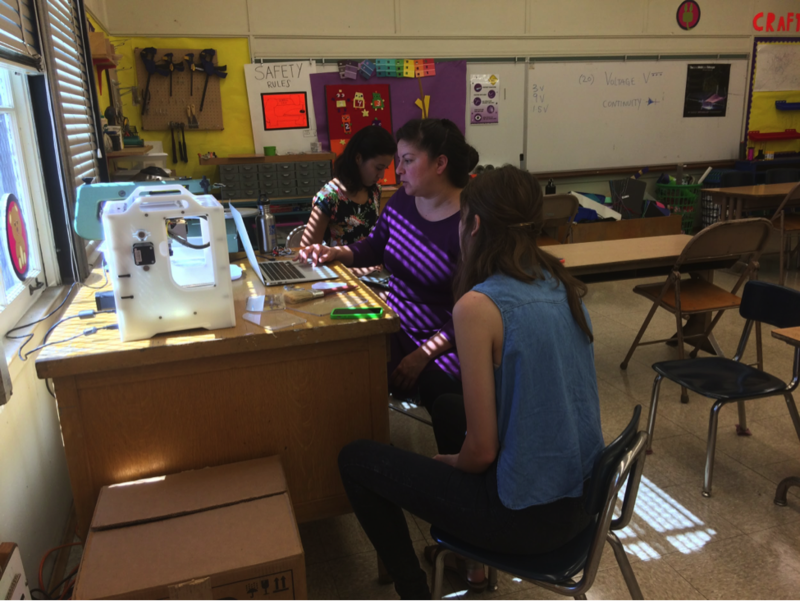 Simone demoing Fusion 360 at DIY Girls. 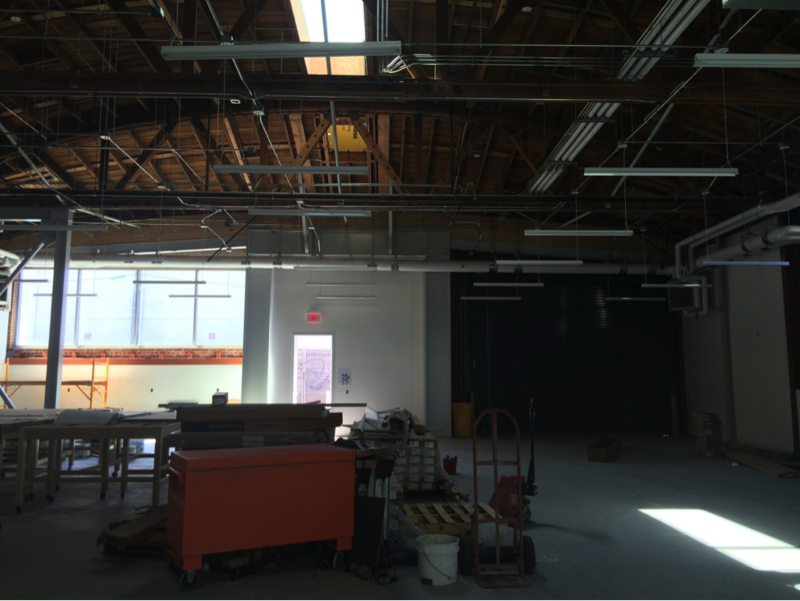 Our last stop was to the Los Angeles Cleantech Incubator (LACI). 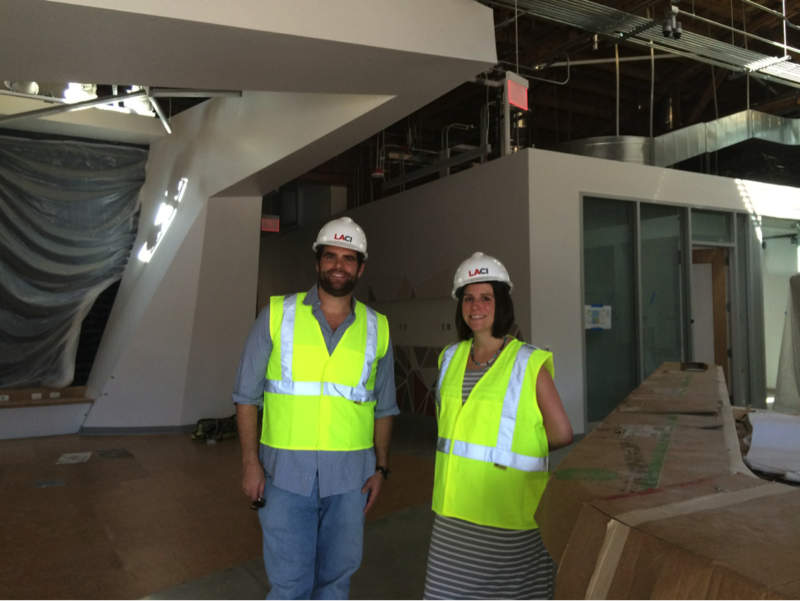 Ben Stapleton, their VP of facilities and operations, showed us around their cutting-edge facility, which is near completion in L.A.’s vibrant arts district. LACI focuses on cleantech and fostering emerging businesses to help build a green economy. Ben explained that they’ll be getting an Othermill for their electronics workshop to expose participating companies to rapid-prototyping equipment. LACI will offer space for companies like OMC to offer classes on their equipment. Ben and Diana prove that hard hats and vests make everyone look cool. The LACI shop space in progress. 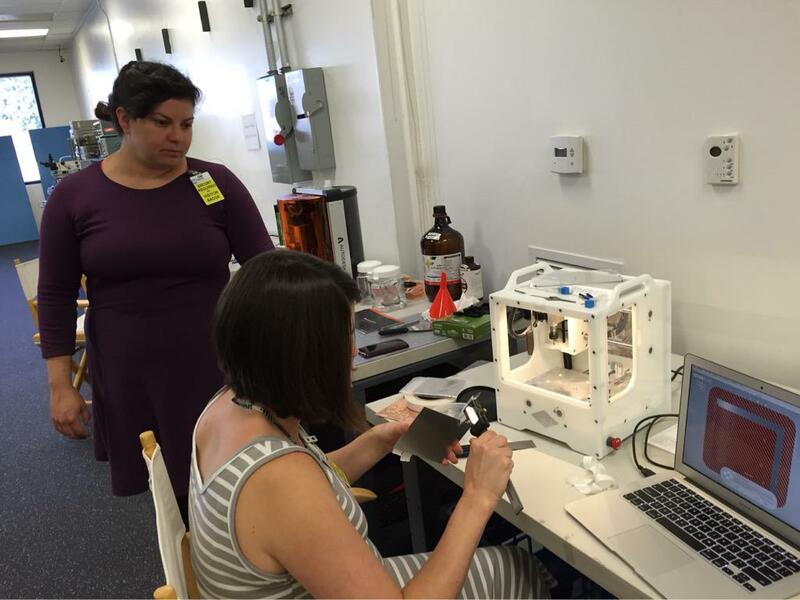 Overall it was a great trip, and as always, we were happy to see the variety of ways folks are using the Othermill.